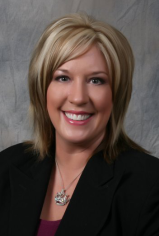 In 2014, the Loans for Leaders Community Mortgage Program was launched by Kathy King of King Financial Group, Inc.
Kathy has had the privilege of serving her community as a volunteer Lewisville firefighter, a successful small business owner and as the loving and supporting daughter of a USMC (ret.) Veteran. It is for these reasons and more that she feels a special connection to the professions listed in the Loans for Leaders program. Kathy King - The founder of the Loans for Leaders mortgage program and Honorary Member & Corporate Sponsor of the Denton Marine Corps League. Community Leaders contribute daily to benefit those around them and this is just one of the reasons why all of us at the Loans for Leaders Program are honored to say, “Thank You.” To demonstrate our thanks we offer optional savings opportunities at closing from participating settlement providers. Here Kathy is running a drill with some fellow volunteer Lewisville Firefighters. Among our list of community Leaders we are excited to include small businesses owners of 25 employees or less, the backbone of our nation's economy. King Financial is also proud to be recognized as a top women-owned business by the Dallas Business Journal, for over five years in a row. Already, we have helped hundreds of Leaders save thousands of dollars at closing. So, why wait? You could be the next Leader to save! Apply Now to get the quality savings and service that you duly deserve. King Financial is a proud supporter of the North Texas Patriot Anglers, The Children's Advocacy Center for Denton County and a corporate sponsor for The Marine Corps League of Denton County. Please follow their links for volunteer and donation information. And remember, a gift of time can sometimes be more valuable than a gift of money.